2019 Traumatology Symposium "Connecting the Pieces: Healing through Culturally Sensitive Trauma Informed Care"
The purpose of the Florida Counseling Association is to promote the counseling profession through public awareness, professional development, and advocacy of legislation that supports the profession. The Florida Counseling Association is comprised of counselors from a variety of work settings and specialty areas. The Florida Counseling Association and four of its divisions invite you to exhibit, advertise and/or be a sponsor at its Traumatology Symposium. The Traumatology Symposium will provide an intensive, collaborative training experience to providers, educators and leaders across health, education, and social service disciplines, as well as to community members invested in the health of their families, neighborhoods, and cities. The aim of the symposium is to provide to people across the family system serving sectors and disciplines, foundational trauma training, coupled with interprofessional learning opportunities, to improve health and educational outcomes for children, adolescents, adults and families from all backgrounds and intersections. v Inclusion in the Traumatization Symposium Program for future reference by attendees. v Introduce and sell your product from the exhibit area. 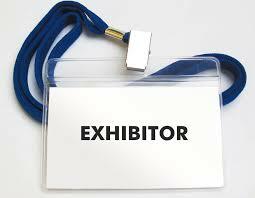 v Receive numerous business leads through networking with attendees and other exhibitors. v Receive a set of Symposium materials, tote bag and an identifiable exhibitor name badge. v Link your business on the FCA website for one full year. 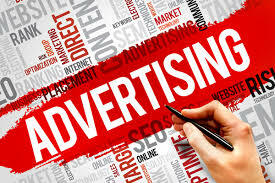 Advertisements will be printed in the attractive, professionally designed official Traumatology program. The program includes: the complete daily schedules, keynote speakers’ information, name/address/phone contact information for all exhibitors/vendors/sponsors and organizations who take part in the traumatology symposium. Ads for the program must be “camera ready,” in gray scale or black and white for printing. All materials are due to FCA on or by April 30, 2019. If you are considering being an advertiser or exhibitor or sponsor for the Traumatology Symposium "Connecting the Pieces: Healing through Culturally Sensitive Trauma Informed Care", please complete the registration information. Submit form and payment to FCA by April 30, 2019. You may also complete this form online at www.flacounseling.org using a credit card. Go to “Events” and click Traumatology Symposium, then Exhibitors/Sponsors. Traumatology Program Advertisement - Quarter Page/Business Card 5-1/4 x 2"
*FOR NON MONETARY DONATIONS PLEASE EMAIL THE FCA OFFICE @ FCAOFFICE@FLACOUNSELING.ORG IF YOU ARE INTERESTED IN DONATION OF TRAUMATOLOGY SYMPOSIUM SPONSORSHIP BAGS, ITEMS TO BE INCLUDED IN SPONSORSHIP BAGS. *PLEASE USE THE FORM BELOW FOR MONETARY SUPPORT DONATIONS ONLY. DONATION OF SYMPOSIUM BAGS Provide bags with your organization's name and logo to be given to each convention participant at check-in. DONATION OF ITEM(S) TO BE INCLUDED IN SYMPOSIUM BAGS Provide pens, pencils, notepads, or other marketing giveaways with your organization's name and logo to include in convention bags to be given to each convention participant at check-in. If you've selected any of the above sponsorships you will be contacted by a member of the Convention Committee to determine what items you would like to donate, how many, deadlines, and to make arrangements for delivery of items.